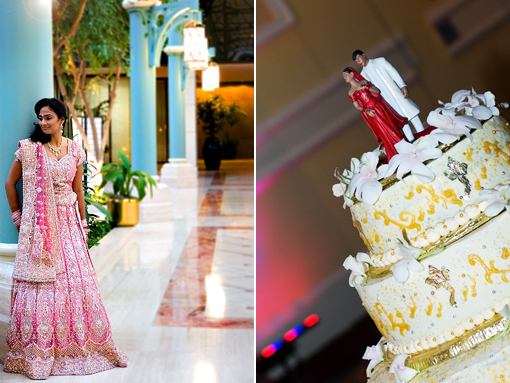 As promised today we have the conclusion our our South Indian wedding love story. 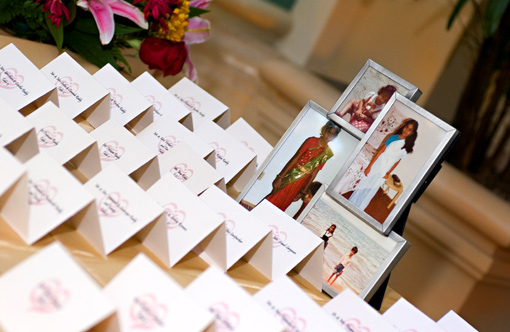 This charming affair took place at the Hilton North in Houston. 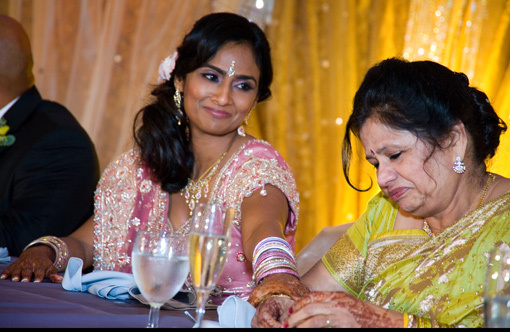 What I love about this wedding is that our bride did two dramatic, gorgeous Indian hair and make-up looks. She went from, traditional, Brahmin South Indian bride at her wedding to a pink and silvery, jewel encrusted bridal lengha that makes her look like one heck of a Modern Maharani. So, who did Nandini call upon to help her create these two distinct looks? Our very own Platinum Guide member, and resident beauty expert, Saman, from Studio Sila, of course! 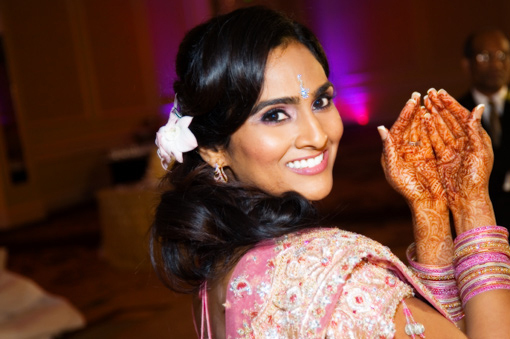 From Saman : The biggest challenge of this wedding was getting all the rice, turmeric, petals and molasses out of my bride's hair after the wedding to create a new do for the reception! What I loved most was their first dance. It was a medley of Indian cine' hit songs from the 50's to date and the bride and groom were phenomenal at their performance. 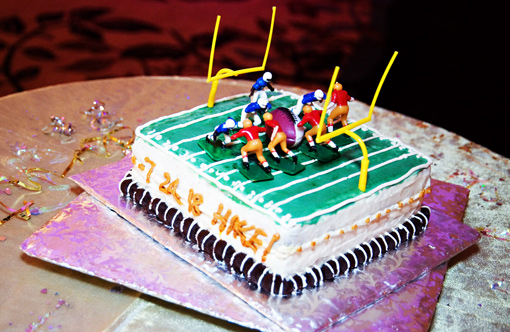 So, I am totally into this wedding cake. 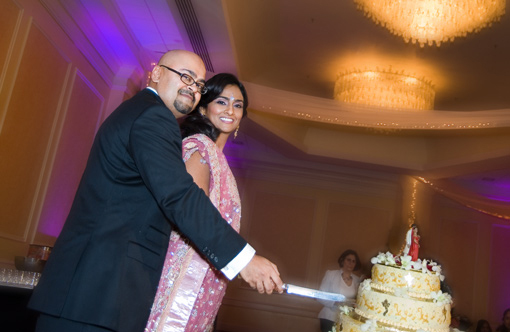 It’s an Indian fusion wedding cake with edible gold foil ganesh all around (handmade by a family friend) and was finished off with a darling Indian cake topper. Total hit! So, have you entered our contests? We have two awesome ones running for the next few weeks, but if you are anything like me, you better do it now, otherwise you will forget! Click here for details on how to to enter to win the Pajama Sutra gift card!